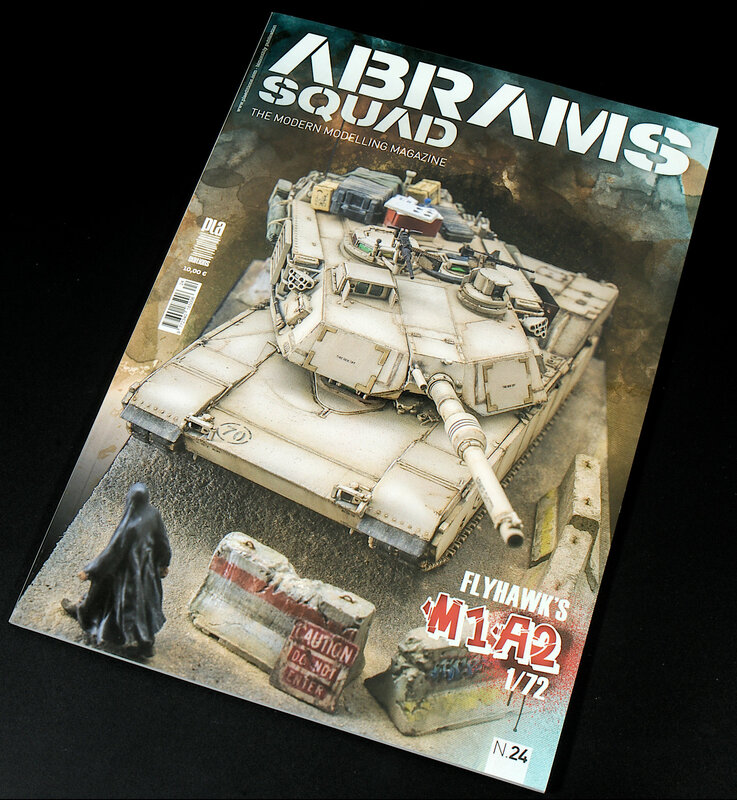 Abrams Squad is the magazine aimed at modern armour fans and issue 24 has come to us. 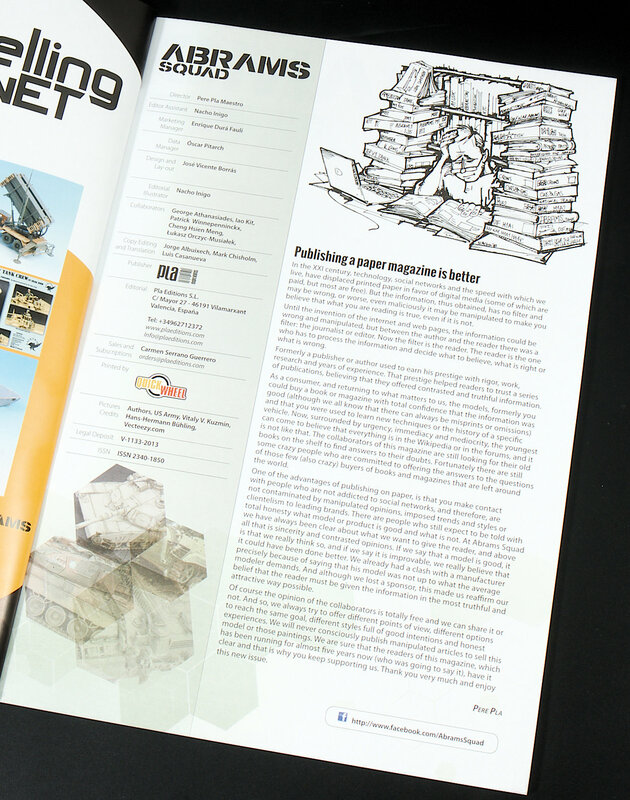 For those familiar with this magazine, it comes in the standard A4 softcover format, and this issue features six articles so let’s take a look at what’s inside. The introduction is an editorial on the difference between a written publication as opposed to information on the internet/ social media and why printed media is better. While the editor does give his opinion, I didn’t really agree with his justification about why printed media is better, but I don’t think the point of the editorial was to say one format was better than the other, but more to point out their objectivity in their views with each edition, and talk about losing a sponsor because of a review that a kit wasn’t up to scratch. 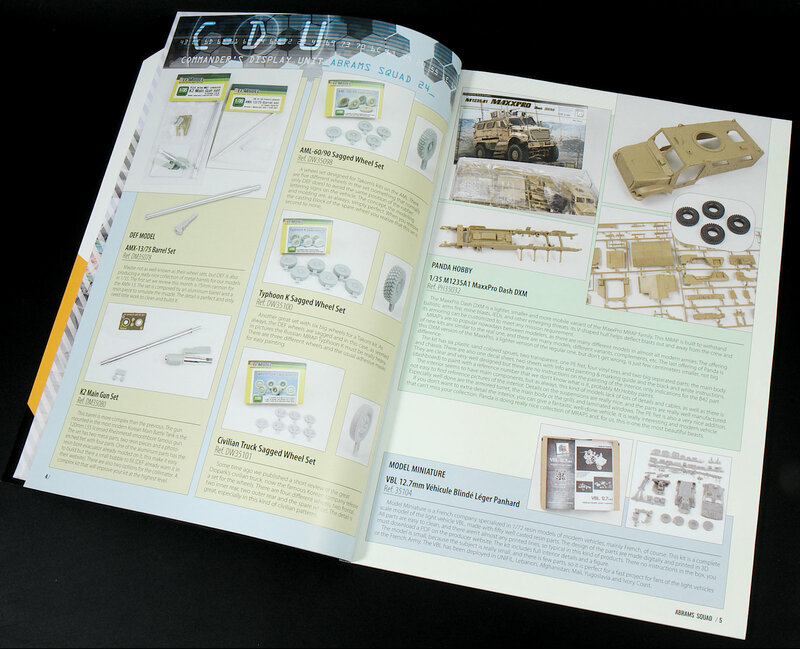 The first section is the usual page of new releases, featuring a variety of metal barrels and resin wheels from DEF Model, Panda Hobby’s MaxxPro dash DXM, and Model Miniature’s resin kit of the Panhard. 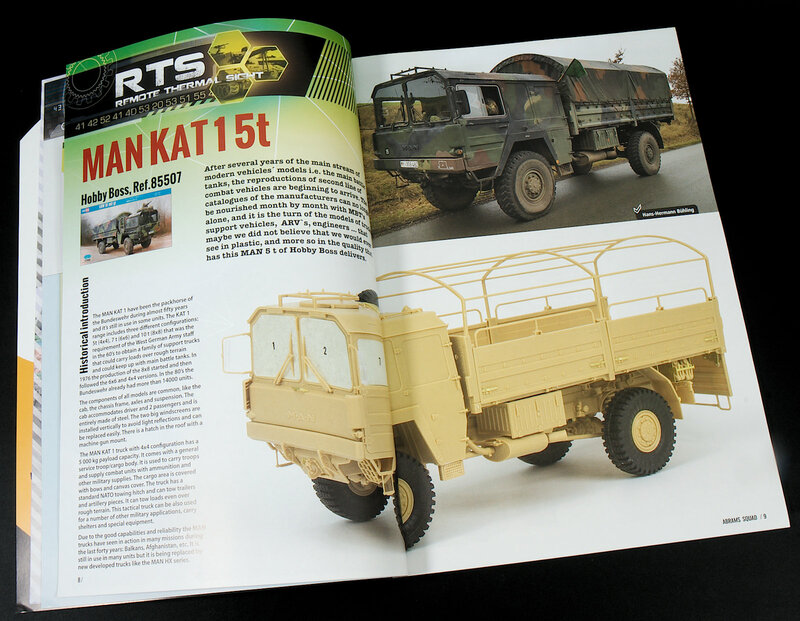 The first article is a clean build review of Hobby Boss’ MAN KAT 1, otherwise known as the LKW 5t mil gl, and takes you through a step by step build of Hobby Boss’ kit. There are no aftermarket additions and the kit is purely built out of the box. 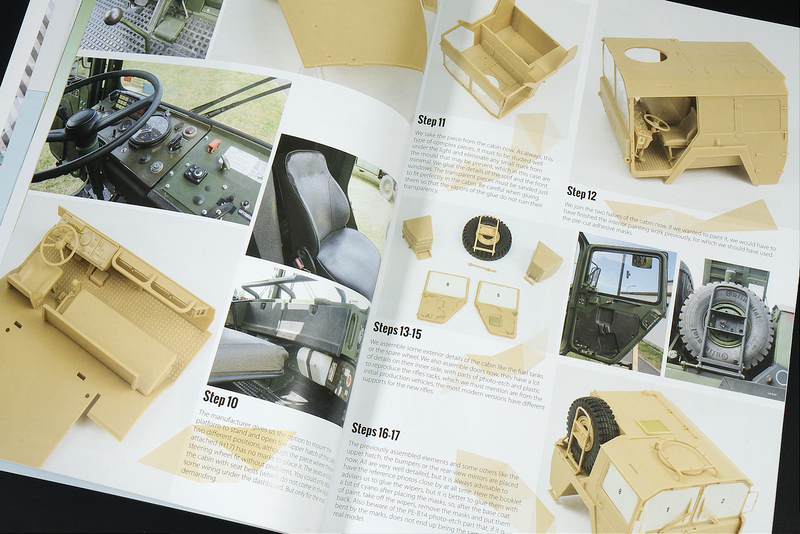 Accompanying photos of the actual vehicle help give the reader a comparison between the shapes of the kit and the actual vehicle. 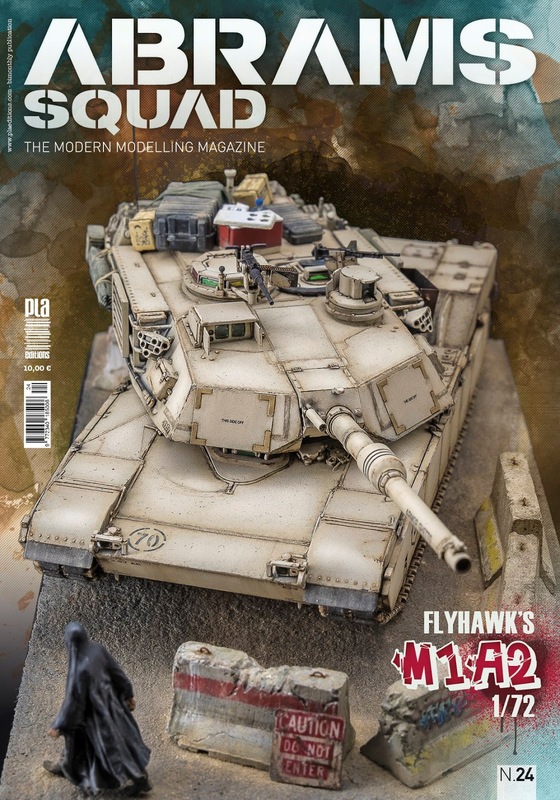 The next article is the model featured on the cover and is of Flyhawk’s 1/72 M1A2 SEP Abrams in a Middle Eastern vignette, and what a build it is. Lao Kit has done an amazing job with this kit and the various elements of the vignette so, hats off to Lao for an amazing job, and all in 1/72 scale. 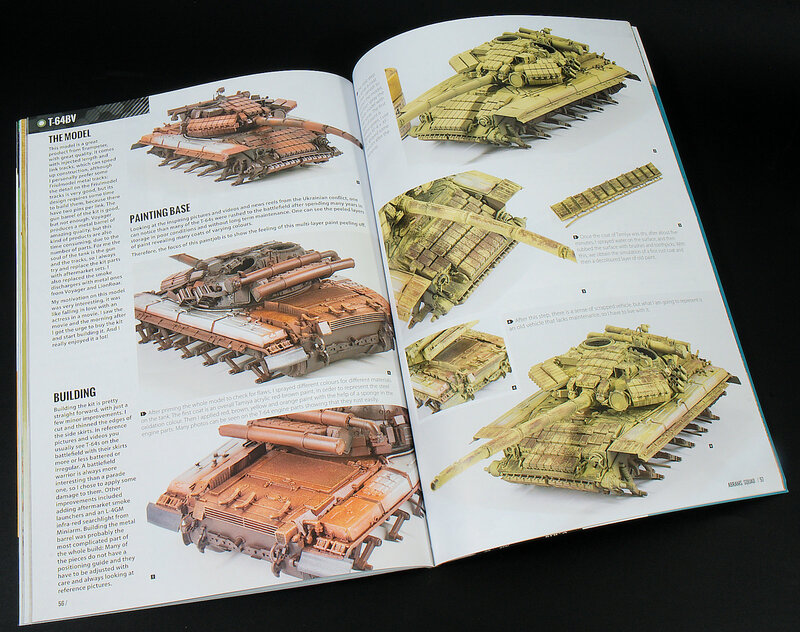 Lao’s article is nicely compartmentalised starting with the build and going through the various stages of painting and weathering. The kit was built out of the box so there isn’t much on the construction, but Flyhawk has been doing some amazing kits so a trouble free build is not surprising at all. 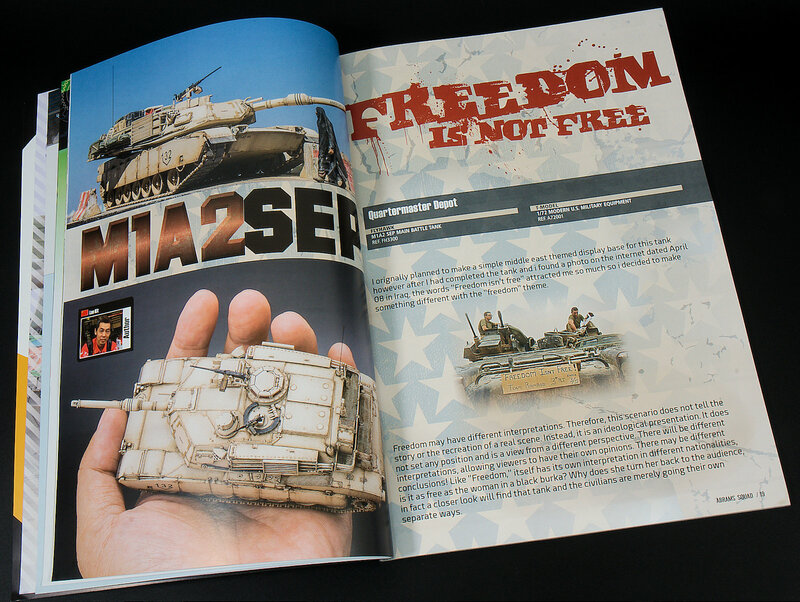 Each section is nicely titled, and a paragraph accompanied by a picture or two makes the article very easy to follow, and then goes into the stowage and groundwork for the tank, and a nice little figure of an Arab woman which Lao modified starting with an Orion German soldier figure, and creating the burka using thread seal tape. 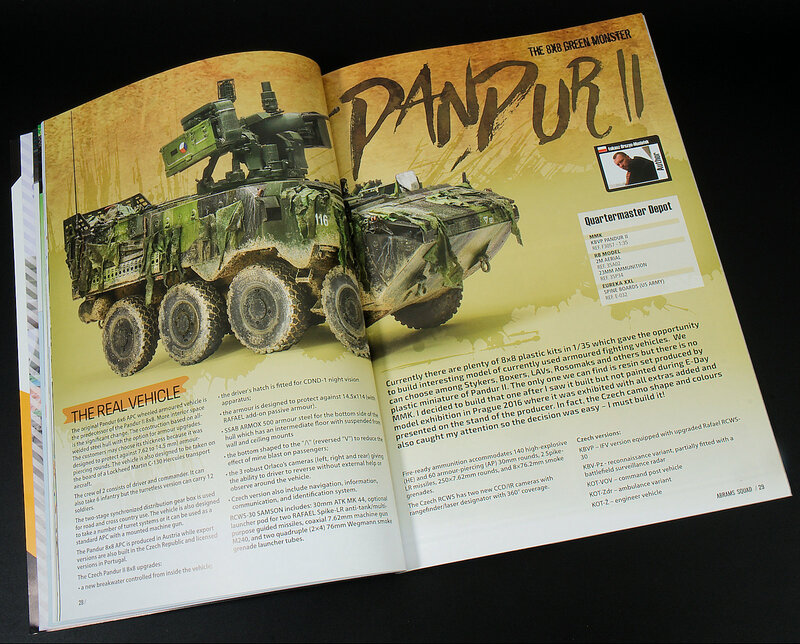 Next up is Lukasz Orczyc-Musiafek’s build of MMK’s resin kit of the KBCP Pandur II and goes quite in depth on his build with good use of the PE included in the kit and also the modifications he made. I can’t say I’m too familiar with this vehicle so the introduction was quite handy, and the vehicle itself looks similar to a Stryker. Painting and weathering follow and Lukasz gives his Pandur II quite a dusty almost muddy finish using AK’s Splatter Effects Accumulated Dust. There is also a nice little section on how he made the strips of camo rags on the outside of the vehicle using tissue paper. Unsurprisingly, Lukasz found this to be one of his most challenging builds but I’d say the result was well worth the effort. 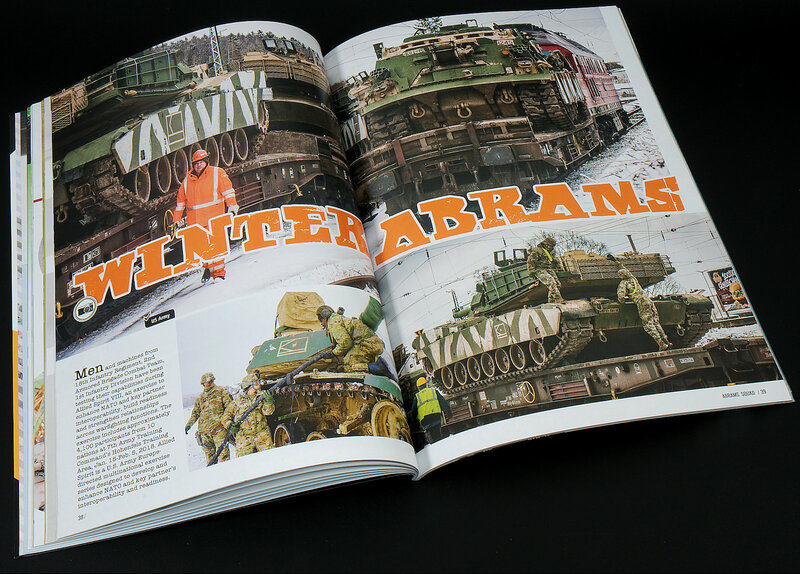 A small four-page spread gives a little break from modelling and features some pictures of some Abrams tanks recently seen on exercise for Allied Spirit VIII. Of interest is the white camouflage applied to the sideskirts and how stained and worn the white becomes. 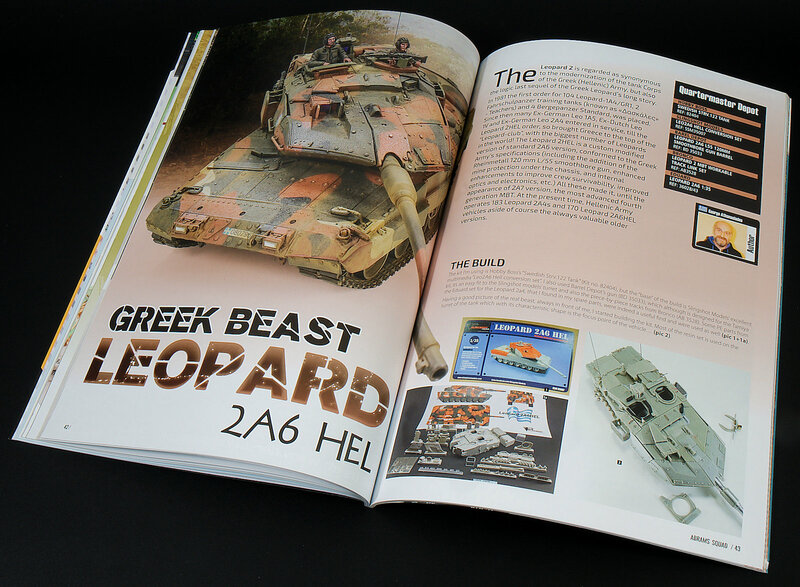 George Athanasiades starts with Hobby Boss’ Swedish Strv.122 and converts it to a Greek Leopard 2 using Slingshot Models’ Leo2A6 HEL conversion set. The focus of this article is definitely on the painting of the kit as there isn’t a lot of information on the kit or the conversion set but George appears to have a relatively pain free build. Most of the article is devoted to the painting of the fairly distinctive colours for this Greek tank and George has achieved a nicely used but not beaten looking tank which is quite often seen on modern vehicles not involved in wartime. 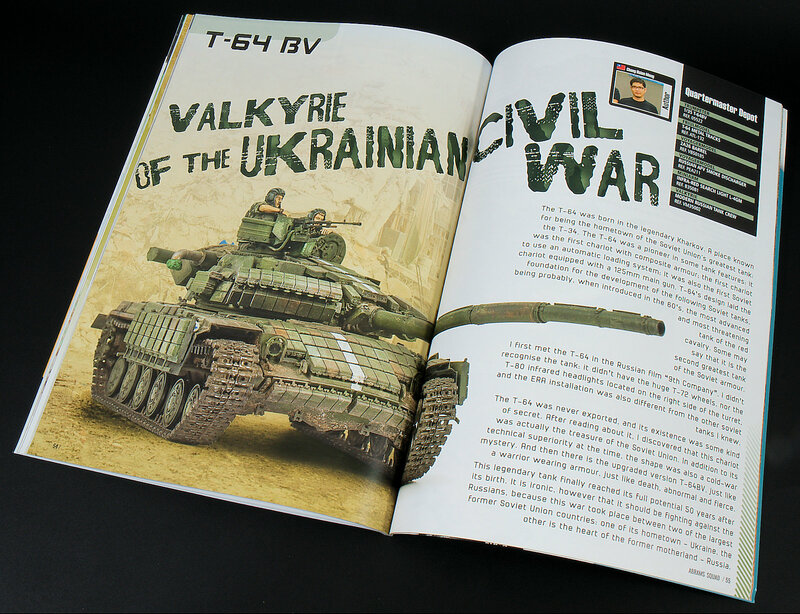 In contrast, the next article if Cheng Hsien Meng’s build of Trumpeter’s T-64BV, and unlike the more subtle weathering of the previous article, Hsien Meng goes much harder with his tank from the Ukrainian Civil War. 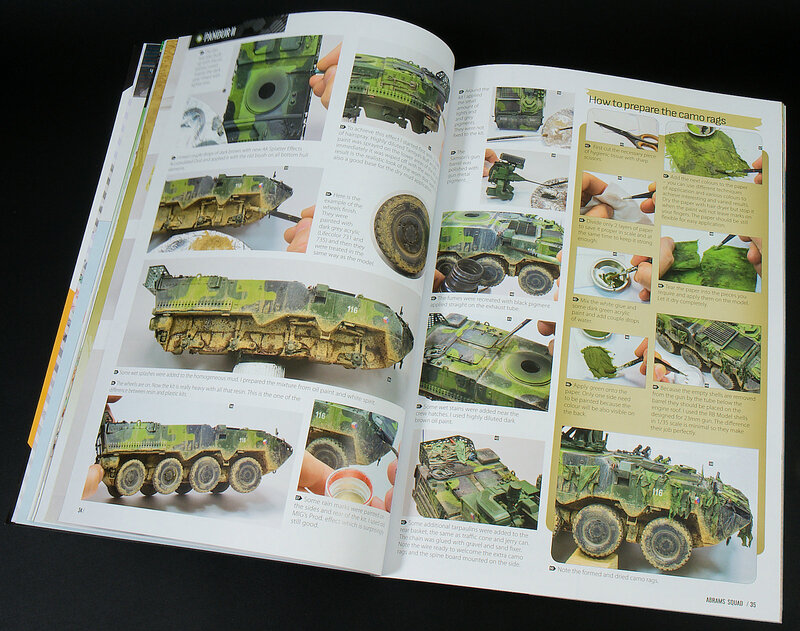 Also, like the previous article, it is more focused on the painting and finishing of the model, with the use of the hairspray technique to chip the paint being the main star of the article. 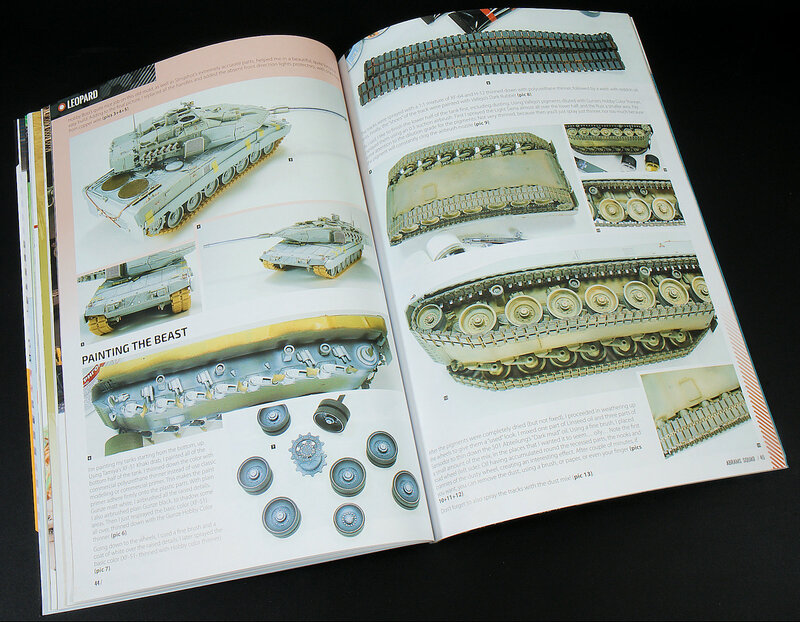 At a glance, the pictures do seem strange with a painted tank, then chipped, then painted again, and then chipped once again but Hsien Meng does three layers of paint and chipping giving this tank a very distinctive and yet still very realistic looking finish. 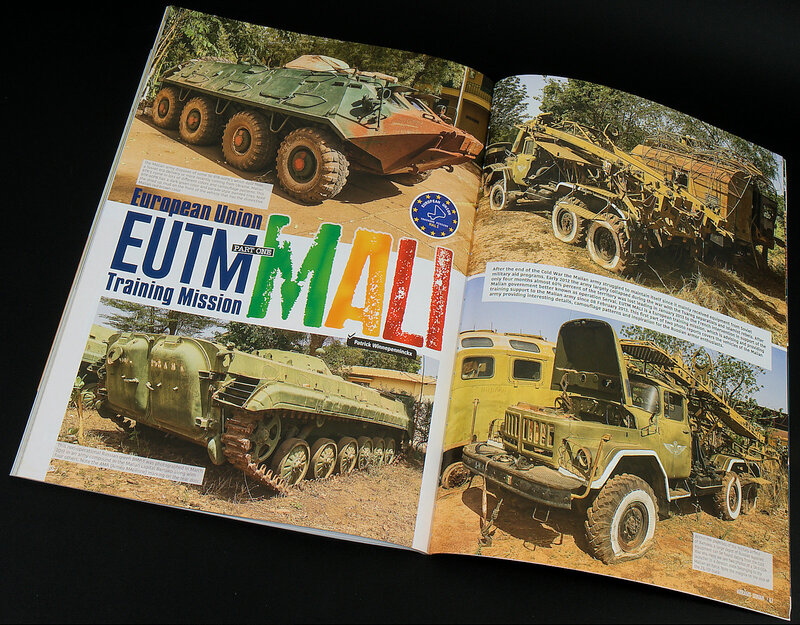 A photographic reference of some old Malian Army vehicles at the European Union Training Mission (EUTM) rounds out this issue, and if you are looking for a distinctive scheme for your next build then this is for you. 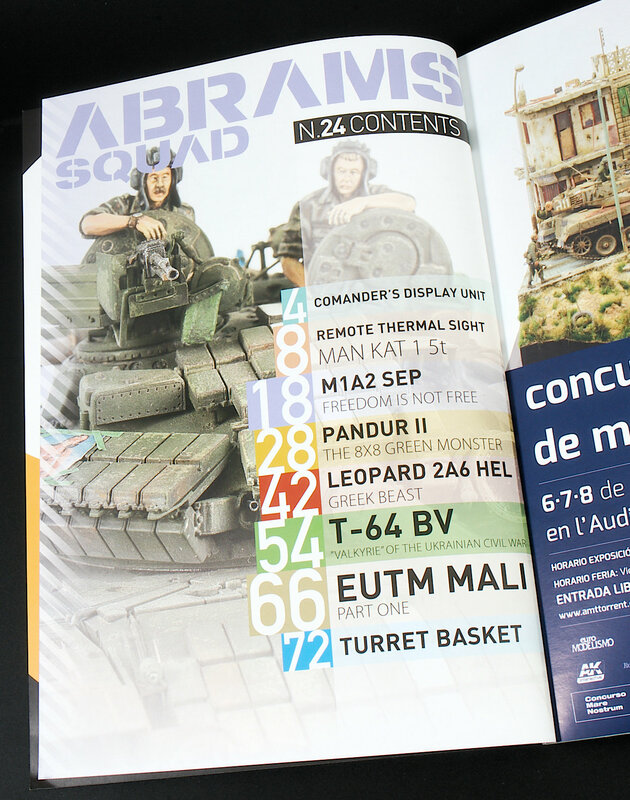 Most of the vehicles featured are of Russian origin including a BTR, BMP-1, ZiL-131, and T-54. 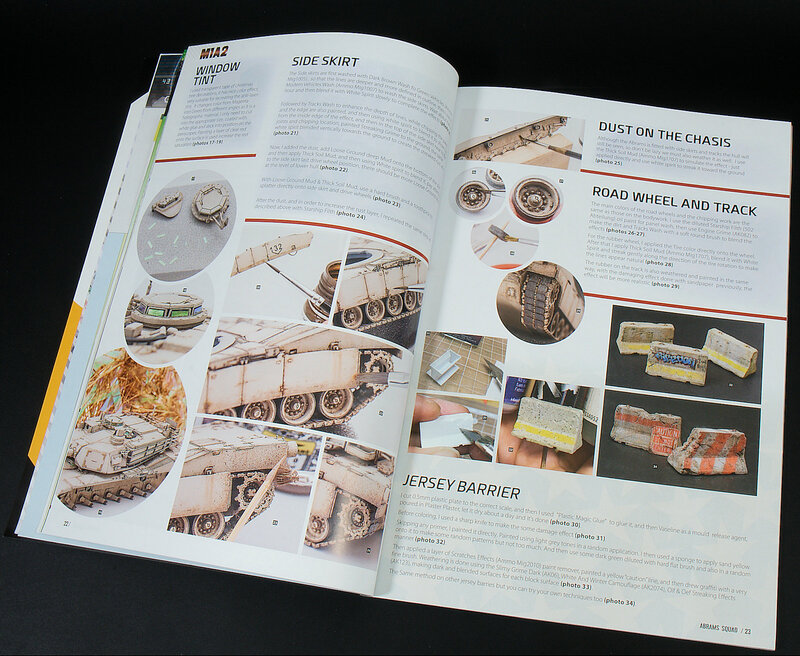 There are also some European and American vehicles in the mix, and all feature some very interesting weathering so lots of inspiration there. 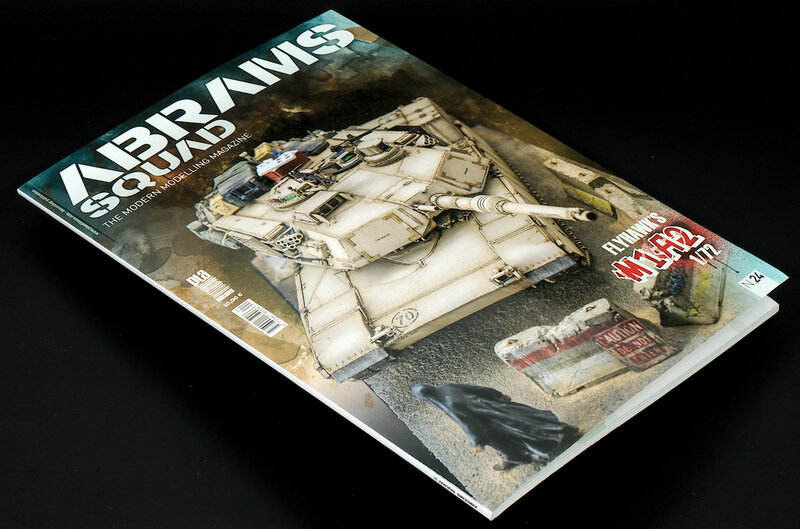 Definitely another good publication from Abrams Squad, and highly recommended.